Activator metabolism in tissues. 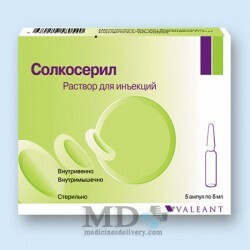 It is intended for topical use in ophthalmology (eye practice). Is a deproteinized (devoid of protein) extract of calf blood free of antigens (substances that can cause allergic reactions). Improves the utilization of oxygen by tissues and accelerates their arrival at the necessary nutrients and facilitates the removal of metabolic products (exchange). Stimulates and accelerates regeneration (recovery) for damage to the cornea (the clear covering of the eye) and conjunctiva (the outer membrane of the eye) of different etiology (cause). The gel provides uniform and lasting coverage of the cornea and, hence, continuous penetration of the drug into the affected tissue. Ulcers, erosions (superficial defect mucous membrane) of the cornea of various etiologies; traumatic injuries of the cornea; chemical burns, corneal alkali or acid; radiation damage to the cornea and conjunctiva; keratitis (corneal inflammation) including bullous keratitis (corneal disorder characterized by the formation thereon of liquid-filled vesicles); pre- and post-operative treatment with keratoplasty (surgery to replace the damaged portion of the cornea); as a contact medium at amnioscopy (method of examination of membranes). The gel is instilled in the eye directly from the tube 3-4 times a day 1 drop. Close the tube immediately after use of the drug. The gel is suitable for use within a month after the opening of the tube. 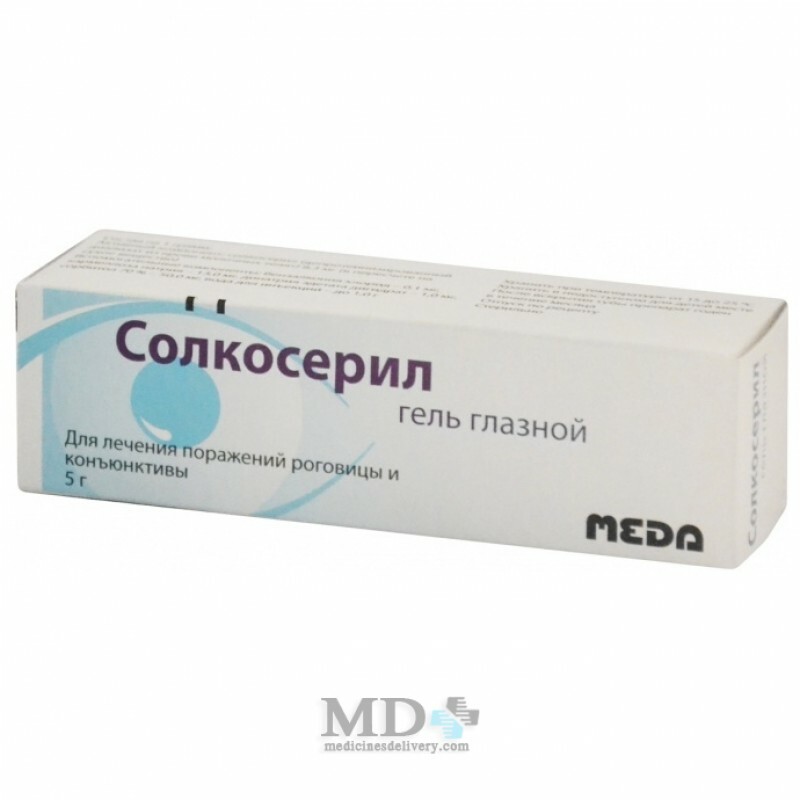 The gel can be combined with most antibiotics and mydriatics (means, dilates the pupil) is usually used in the treatment of corneal ulcers. Very rarely - a slight burning sensation, which does not require discontinuation of treatment. Eye gel in tubes of 5g.